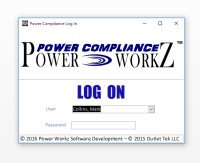 Power Compliance is a Code Enforcement management suite designed specifically for municipality code enforcement. Our software is designed by former code enforcement and law enforcement officers. Our software is designed to be simple to use but robust for reporting and statistical purposes. Currently our software has two moduals (Code Enforcement and Abandoned Vehicle Abatement). We are currently working on a Marijuana modual for the program due to more municipalities need for city and county code enforcement of dispensries and growers. Our software is customizable for the customer including logos, custom reports and custom field entries. We are going to also deploy a cloud based version of this program in the near future.